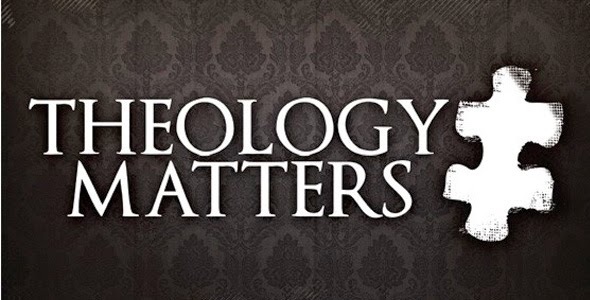 Why You Should Watch Your Theology? I believe that the study of theology has become more important to my life in the last three years than its ever been. The older I have gotten, and the more I have grown in my love of Jesus Christ, the more I see how important it is for people to “watch your theology.” When I re-titled this blog, “Watch Your Theology,” it was because I have seen too many times and I still see that people have this view of God (of the Christian faith / the biblical God) that is not in alignment with what the Bible says. Theology matters because it helps those of us, who adhere to a so called religious belief, systematically break down what we say we believe. In my opinion, I believe a lot of young people end up not believing the Christian faith because they were fed some bad theology while they were growing up. All the more important, they saw people around them living out a “Christian lifestyle” that was not parallel with what they were learning in Sunday School or at church. People’s ignorance of the truth reflects in the way that they view things and what they choose to and choose not to pass on to their children or the next generation. I do not want to be ignorant of the one, true God or any aspect that is true of Him. If I am to pass on the Gospel, doesn’t it make sense for me to have a full understanding of what it is that I am hoping to pass along? How sad it is that many folks don’t know wolves in sheep’s clothing when they see one. Many false teachers get away with selling “bad” theology because those in their “flock” don’t know that…..THEOLOGY MATTERS! Great stuff as always Jerome!